Welcome to Day 70 of our Divi 100 Marathon. Keep tuning in for 100 days in a row of awesome Divi resources as we count down to the amazing release of Divi 3.0 on the final day of the series! In this blog post we’ve got yet another fantastic Divi Layout Kit to give away. 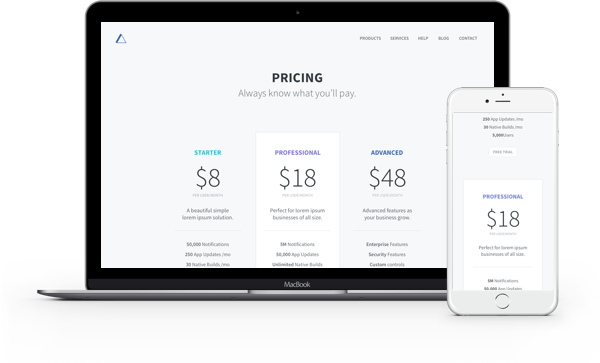 This time, we’re giving away a pricing table layout kit created almost exclusively with text modules. The idea being to show what is possible when you decide to get creative with how you use different modules to achieve your end goal–regardless of whether or not they were designed specifically for that purpose in the first place. 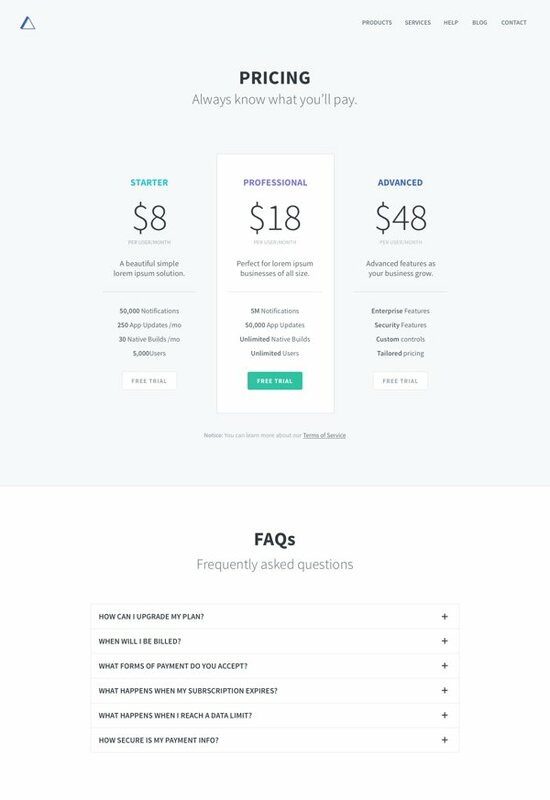 And, of course, to share some great looking pricing tables. Check it out! To use the Free Divi Pricing Tables Layout Kit on your own Divi website you will first need to download it using the button below. Next, locate the file divi-100-pricing-tables-layout-kit.zip in your downloads folder and unzip it. Then, navigate in your WordPress admin to Divi > Divi Library and click the “Import & Export” button at the top of the page. Once the import has finished you will now have the ability to load your new Divi Pricing Tables Layout Kit on any builder powered page by going to Load From Library > Add From Library. You can also load the individual sections by using the Load From Library option in the in-line section controls. Before creating these pricing tables I did a good bit of research on the UI of high performing pricing tables used by big brands. Once I felt like I had a good idea of what is working out there, I decided to challenge myself to create these tables in a slightly unconventional way. By using Text modules I was able to simplify my approach and in some cases style each individual element more easily. Of course these are not meant to replace our existing pricing table modules, but to be used if and when you might prefer this approach on a given project. For this layout I chose to draw attention to the pricing tables by giving them each a bold background, depending on pricing and copy to guide the potential buyers choice. In this layout I’ve removed the background colors of the first layout and assigned them to the title text. This places the emphasis on the prices themselves as the biggest, boldest element of each table. 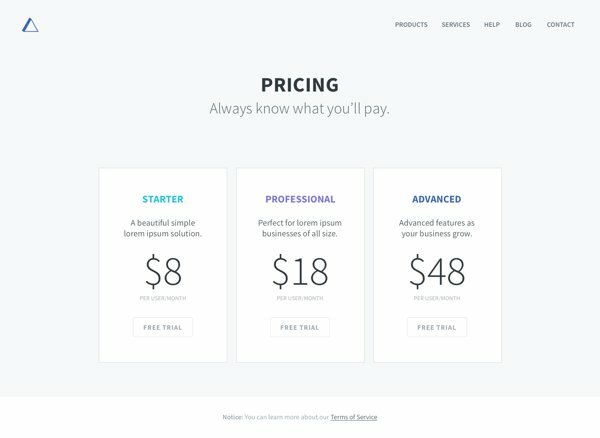 In this pricing table layout I’ve “highlighted” our center option by giving it a white background and the others none. This will, ideally, encourage potential customers to choose that option. In this layout we’ve got a nice subtle variation on the first two designs that maintains the overall palette in a different way. After the massive success of the last WordCamp/Divi Meetup we said we would be thinking of more ways to encourage and empower the Divi Community to gather, share, learn, and grow in person. Tomorrow I will be sharing with you some of the first steps we’re taking in that direction and how you can get involved. I’m not sure if the link is corredt? The file I downloaded was titled divi 100 resume page layouts…. I’m just going to ask the question that everyone is wondering…do you know which day beta will start? I read somewhere on 7 september, don’t know where i saw it, . i believe it was on the end of the last video sneek peak off Divi 3.0. That’s Divi 3.0. I was asking which day Beta testing will start, anyone know about that? They are asking to fill out a form to see if you qualify. Looks like is limited. Thanks Mario. These look great! Very beautiful in the pictures. Will All of these layouts etc be available standard with the new 3.0 Divi? Or will we still have to add on to the library. Hey Eleanor, I’m sorry but you still have to add them to the library even on Divi 3.0. The pricing table is definitely underrated. Great Stuff! Great set of layouts. Huge time-saver! Thank you again for all you do! Nice, these look really great. Probably my favorite pack so far! Will all of these wonderful new layouts be standard in Divi 3.0 – or will the library be the place to add them in? How do you do when you have 5 differents price?! Flo, Just add 2 more pricing entries inside the module. Each column has its own entry inside the module dialog. Wonderful work. You are teaching me to use DIVI theme, a very professional/artigianal istrument! I am sure that so many people share their gratitude with Elegant Themes and the way in which they continue to improve on an already superb product. I can honestly not thank you guys enough for all the hard word and great product! I admit I’ve never tried Divi – mainly been using BeaverBuilder, sometimes Genesis too. I’ve always wanted to learn Divi, but never could find the time, but I have been coming across some very nice Divi built business websites lately….so I renewed my ET subscription, and going to take the plunge, because of the 3.0 features, not the least being the in-line editor. Look forward to creating some Divi sites of my own soon. Nice Layout Kit. Congrats! I hope that coming soon also is a layout kit for creating TABLES. I believe there is no MODULE yet for creating tables. Thanks for the feedback! It’s really good idea and it’s something we already started to thinking about. It had been a great journey so far. Is there a way to find them to download or will they be obsolete when 3.0 is released? Great stuff! You just saved me a lot of time. Thanks! 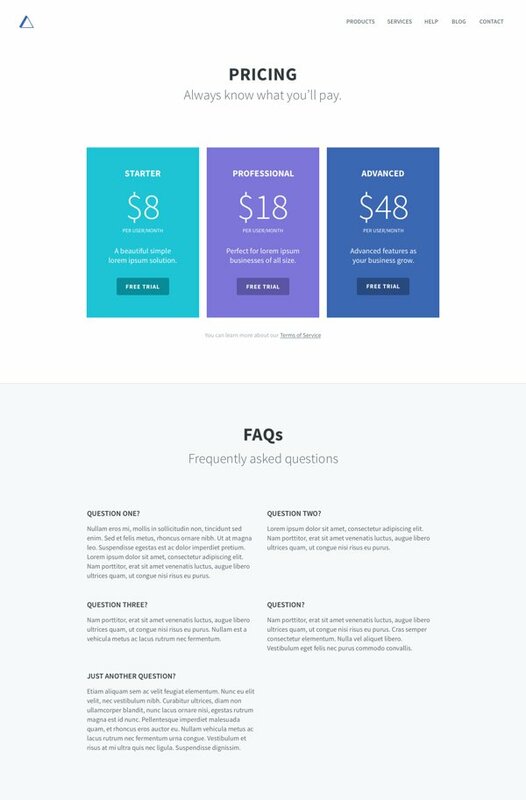 Nice Layout Kit Elegant Themes, it help a lot to create pricing table. 1. 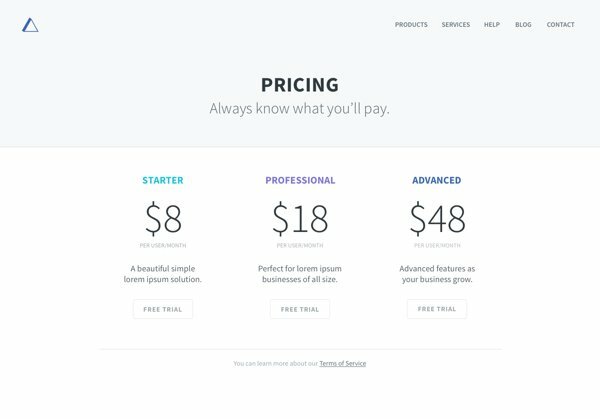 Made the Pricing Module responsive, so that we don’t have to have a pseudo pricing module via a library layout. 2. Be able to have more than 4 columns, I quite often want up to 6 columns minimum and rarely higher than that. Thanks for sharing this, meant I didn’t have to manually create a library layout myself. Cheers. I’m with you- I feel that more pricing columns should be available. More often than not people want more columns from what I’ve seen and read on Divi user group on FB. Using these layouts seems a lot more difficult than using the built in price tables, i.e, you have to go into each individual text box to change the text. Is this correct or am I missing something? Is there a way to achieve these layouts using the built in price tables? Why we must first create new page?